The materials used to craft The Galley’s Ideal Workstations meet the highest industry standards for both quality and workmanship. The cutting boards themselves are FDA-approved and are entirely food safe. 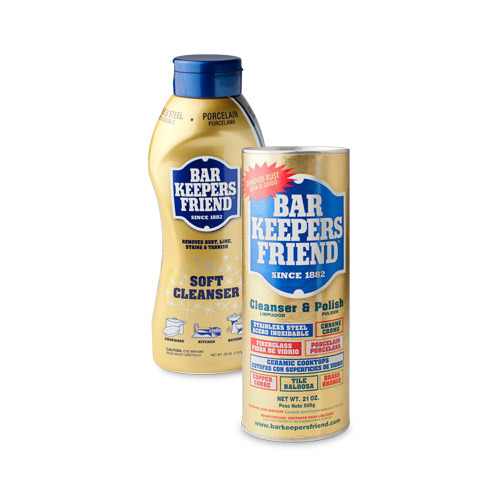 For everyday cleaning, we recommend cleaning the Galley Workstation with a non-abrasive cleaner such as Barkeeper’s Friend, followed by a stainless steel polish such as 3M Stainless Steel Cleaner and Polish. This will restore the luster and keep the tiers sleek to allow the accessories to glide freely. On behalf of the cabinet(s) below the Galley Workstation, we recommend not putting ice directly on the floor of the Workstation for an extended period of time. Doing so could cause condensation on the exterior of the basin, and most cabinets don’t like to get wet! Hand-wash with soap and water. Do not put this accessory, regardless of the finish, into the dishwasher. We recommend for the first couple of weeks that you oil the cutting boards 2 or 3 times. This will help build up its resistance to moisture and strengthen the wood for a long, healthy life. After that, a quick application every couple of months should suffice. For simple cleaning, hand-wash using warm water with dish soap and a damp sponge or cloth. Allow the board to dry thoroughly before the next use. The wood should never be fully submerged in water or placed in the dishwasher. If your Chef’s Block ever smells less-than-fresh, you can simply rub a paste of baking soda and water over the board before rinsing and drying. Restoring the luster of your Galley Workstation is extremely easy to do with a hand-held orbital sander. Simply use 120-grit sandpaper on your sander and, with medium pressure, sand the bottom of your Galley in a circular motion. It takes about 5-10 minutes. Watch the quick how-to video below. By following the steps in the video, your Galley will look as good as the day you bought it! 316 Stainless is suitable for most outdoor applications with the exception of high exposure to salt air. Exposure to salt air and sea spray will cause surface rust (corrosion). The best way to protect the stainless steel is to clean it frequently. Don’t give the salt time to establish itself on the surface, as the effects of the chemical reaction will soon become visible. In salt air environments, we recommend cleaning the stainless steel surface at least every two weeks to keep your workstation in prime condition. The Galley Tap is made of solid stainless steel. This ﬁnish has NO PROTECTIVE COATING on it. Stainless steel is by its material nature very tarnish-resistant, but by no means tarnish or stain proof. This ﬁnish will react to it’s environment over time. Cleaners that contain bleach may cause rust. Keep your Galley Tap wiped clean and dry, and use only a cleaner specifically made for stainless steel. Trapped moisture on the surface of your ﬁnish can lead to staining. Astringent cleaners, chlorine, bleach, and acidic-based organic cleansers are potentially harmful to stainless steel ﬁnishes. It is the responsibility of the customer to check for any material ﬁnish defects BEFORE installation. 1. Do not allow water spots to dry on the ﬁxture. Keep the surface clean and dry after use. 2. 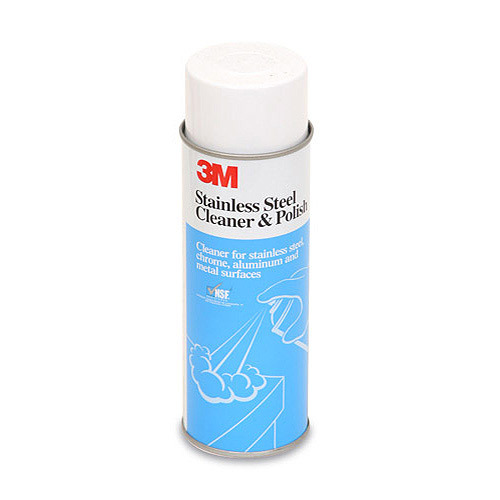 Periodic cleaning can be done by applying a stainless steel cleaner with a soft, clean cloth to gently remove surface spots and brighten the ﬁnish. For PVD ﬁnishes, clean with a soft, warm, damp cloth. 3. Never use cleaners with bleach, abrasives or vinegar. Never use any type of abrasive cleaning pad.